We look forward to greeting you with a warm Madison, Wisconsin welcome! Make one of your first stops one of our visitor centers, where we have resources at the ready. 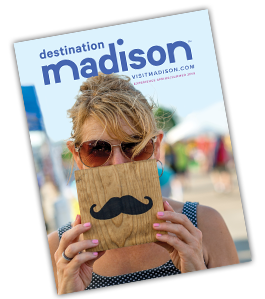 You&apos;ll get ideas on where to stay and what to eat, tips on transportation and parking, and access to area maps and more. 4000 International Lane, Madison. Located in baggage claim area. Hours vary by season; view current hours. *Please note that campus hours may vary during holiday and university break periods.